Apple AirPods work with your Apple devices like iPhone, iPods and Mac system. However, if you want to use them with your android devices, you can do this job easily. We can complete this process using the Bluetooth of the devices. AirPods come with Apple devices, and we can efficiently use them with Apple devices. However, on the other hand, you can use and pair AirPods with Android device, and we will show you how to do it. There are a lot of reasons for this. For example, if you have two phones, one for work and one for your personal use, you can use your AirPods if you have an Android phone. Also, if you have an Android tablet or computer system, you can also use your AirPods with them. You can listen to your personal music, and you can make calls on your android phone. 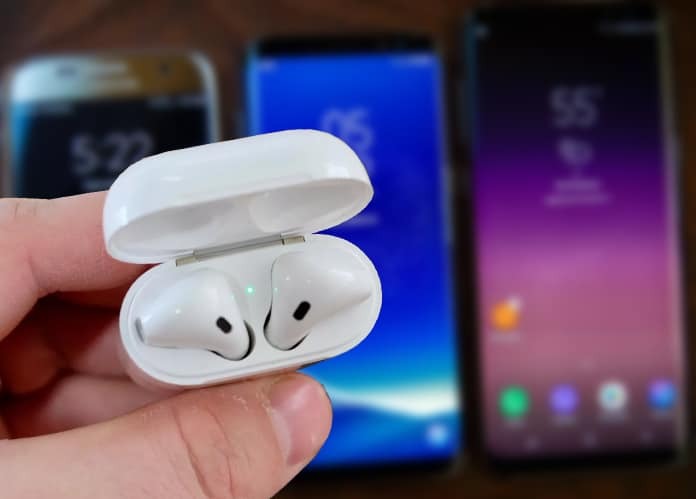 We know it’s a really fun idea of using Apple AirPods with an Android device. That’s why we are going to tell you how you can do this job. A lot of people searched for this topic on the internet. If you are ready to pair AirPods with Android device, have a look at the procedure mentioned below. The first step is disconnecting your AirPods from your Apple device. If you use your AirPods with your Apple device, it will be automatically connected with your Apple device. In case if you are going to connect your AirPods with the android phone, you will have to switch off Bluetooth on your iPhone. Follow the process below to turn off Bluetooth on your Apple device. On your home screen, swipe head from the bottom to open the Control Center. Here you will see different options and notifications settings. 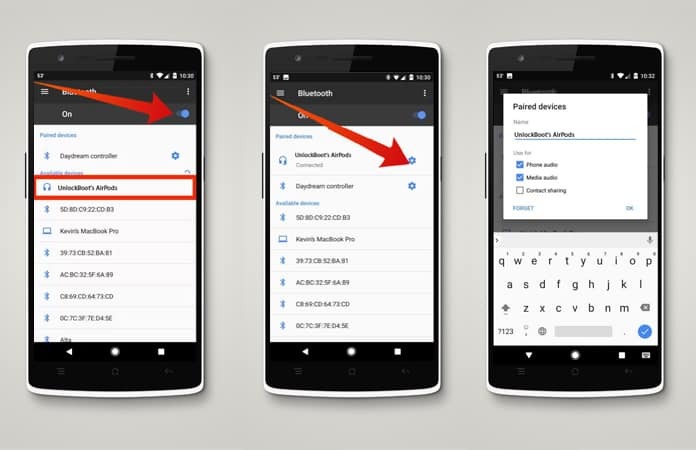 Find and click on the Bluetooth icon to turn it off. 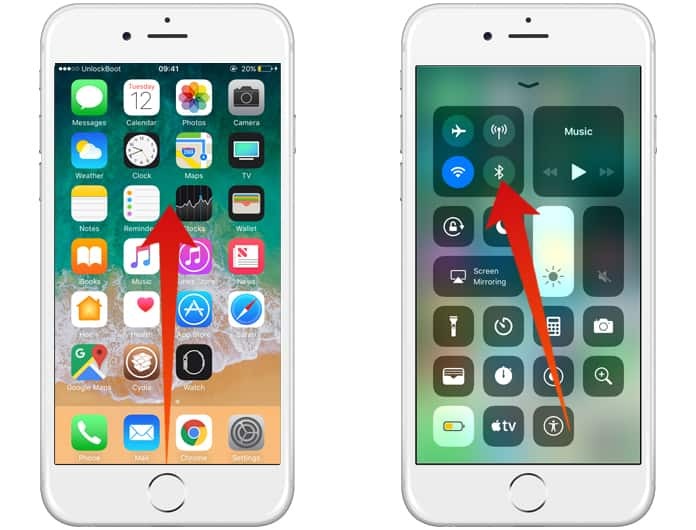 When we turn off the Bluetooth on your iPhone, it won’t be able to connect to your AirPods automatically, and you will be able to connect them with your Android phone. That’s the reason why we are turning off Bluetooth on your iPhone. It is also necessary to avoid any type of interference from your iPhone while connecting to the android phone. The second step is pairing the android phone with AirPods. This is a straightforward procedure, and you can do this in a few minutes. Just follow the step by step procedure to complete it. On your AirPods, you will have to click and hold the tiny button to turn it off and on. You will have to turn it off and on again to make visible to the Bluetooth device. On the Android device, follow the steps mentioned below. Go to the Settings app and click on the Bluetooth option. Now turn it on by clicking on the Bluetooth radio in front of On/Off option. Here you will see your AirPods name. Click on it. Now by clicking on the Settings button in front of the AirPods name, you can customize the connection. You are all done! Now you can listen to your song on your AirPods from your Android device.